Want to sample & eat Japanese food? Watch taiko & dance performances and kendo demonstrations? Learn to fold origami? Draw calligraphy? Learn about origins of manga and anime in Japan? 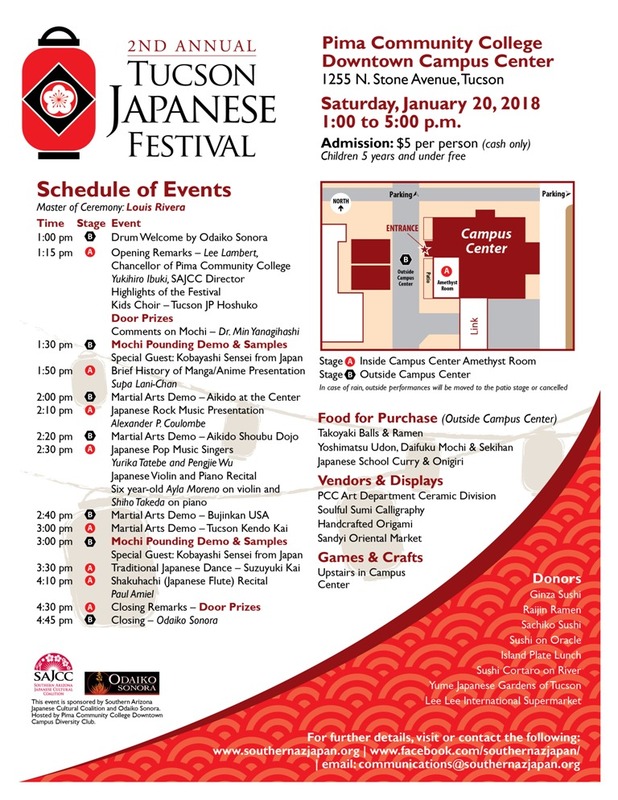 All this and much, much more at this 2018 New Year’s celebration, the fifth sponsored by our Southern Arizona Japanese Cultural Coalition and Odaiko Sonora. 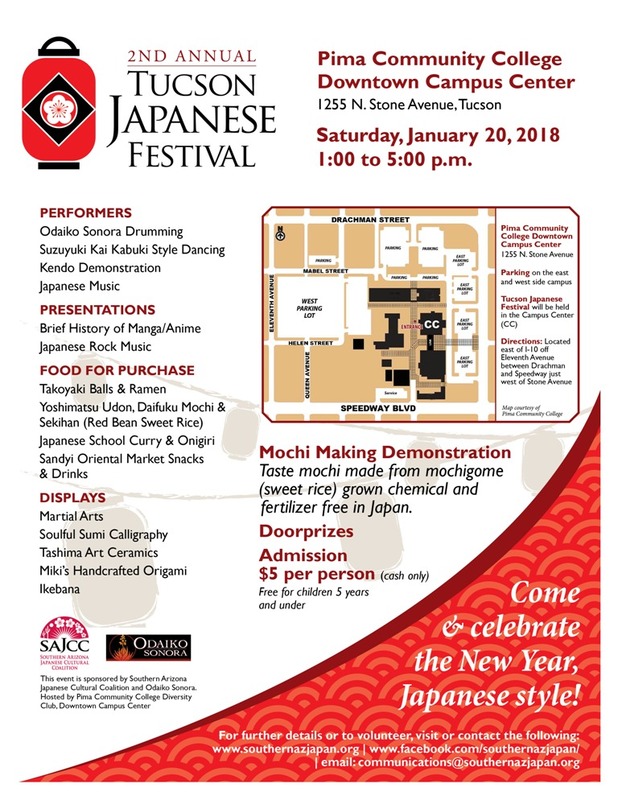 Name change from Tucson Mochitsuki to Tucson Japanese Festival last year, so hence it is the 2nd Annual. Performance schedule flyer (updated 1/17/18) below. Mochi making and pounding from rice will be demonstrated. 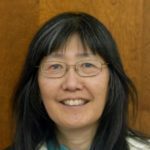 Join us to learn about Japanese culture in Japan and in the U.S. Ticket price still $5 adults, free for children 5 years and under. Today at PCC Downtown, rain or shine. Most events are indoors of PCC Campus Center. Will probably post photo gallery tomorrow or next day. Be there. Happy New Year of the Dog.